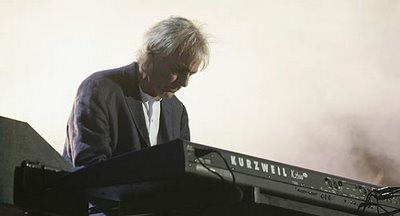 I had a singer-songwriter feature half-written for this evening, but the passage of Pink Floyd cofounder and keyboardist Richard Wright earlier this week reminded me that I’ve been sitting on a covers playlist for quite some time. Wright spent much of his career as third fiddle to two powerful songwriters (and, previous to that, one additional stellar frontman), but he deserves his due: his work was hardly negligible, and he did his share of songcraft, too, on some of the best known albums from the band. Presciently, Wright’s most famous composition is probably The Great Gig in the Sky, which begins with the line “I am not frightened to die.” In his honor, then: the Pink Floyd playbook, fearlessly reset as folksong. 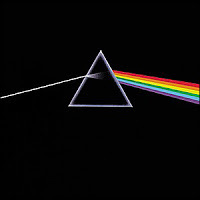 I’m not a serious Floyd fan; like many readers, I suspect, other than the usual radioplay, my primary encounter with the music of Pink Floyd was through collegiate experimentation, plus a shortlived experiment trying to align the whole of Dark Side of the Moon as a surrealist, psychedelic soundtrack to The Wizard of Oz. But there were plenty of hits among the transitional nodes and experimental tracks, songs which stick around on classic rock radio and in the air, and they have long carried the weight of wisdom for those daring crowds of young truthseekers which create folk anew each generation. Though it is the guitar work and songwriting of Waters and Gilmour which primarily defines Pink Floyd in and of the popular imagination, for me, the subjective success of their particular anthemic prog-rock was always the enveloping sound in toto, of which every element mattered greatly. Artists who play and record on the margins of folk tend to reproduce this progressive instrumentation while veering wildly from the original sound; though many of these performers today are nominally folkpop or electrofolk hybridists, covers such as Sparklehorse‘s broken Wish You Were Here, Rasputina‘s chamber pop take on the same, Paloma‘s discomforting lo-fi indiefolk See Emily Play, and both the Dar Williams and Patricia Maertens versions of Comfortably Numb, represent a relatively full and faithful translation of that rich, all-encompassing sound into a slower, more folk-tinged modality. Meanwhile, Fairport Convention founder Judy Dyble speeds things up to a traditional british post-pop folkrock, while retaining the full anthemic sound of other, more upbeat Floyd favorites. But note, by contrast, how the absence of synthesized sound and high production in other folkcovers leaves a hole for silence. Trading the immersive effect for something more intimate and raw makes for a different, more delicate product, exposing the songs as songs, asking us to bring our selves into them, rather than reaching out and swallowing us whole. The result is sparse, but slow or fast, it can be equally powerful. In their own unique ways, Mary Lou Lord‘s grungefolk take on Wright co-composition Fearless, Dean Wareham‘s wonderful strummed acoustic take on Hey You, Leslie King‘s previously-posted bass-heavy but still otherwise keyless Money, and unknown singer Kris McKay’s delicate yet almost orchestrated version of Wish You Were Here provide ample examples. There’s gems on both ends of the possibility spectrum, of course. And where we might place a given song on that spectrum is more fluid than the above dichotomy might suggest. But here’s those, and one or two odd and additional favorites which defy clean categorization (previously posted honkytonkin’ favorite Luther Wright, the bluegrass stylings of the Austin Lounge Lizards, the rootsy jamgrass of Frame of Mind), culled from the vast sea of stripped down and folked up Pink Floyd coversong, acoustic and otherwise, found in the wild. We’ll let the absent synths stand as a moment of silence in one case, their presence as tribute in the other. If you like what you hear, consider following artist links above to purchase the work of these fine folk, that musicians might spend their later years solvent and still recording. And, as always, feel free to send in any Floydfolk you think I might have missed for inclusion in an upcoming edition of (Re)Covered. Cover Lay Down publishes Sundays, Wednesdays, and the occasional otherday. Coming soon: new covers of some very old songs, and a feature on one of my favorite singer-songwriters to ever collaborate with Sufjan Stevens.